When looking for washroom commercial hand dryers sometimes a top priority can be finding a cheap option, especially if you’re buying in bulk. However, you might also find that considering a wider range of prices can lead you to find a better quality of hand dryers for your bathroom. 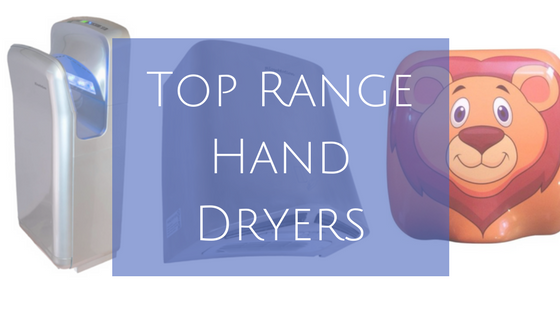 Our top of the range washroom commercial hand dryers feature a variety of products that can help you to ensure everyone who uses your hand dryers will be using the best quality available to them. With an inclusive range of products available on our website we know that we can offer the best quality hand dryers to all of our customers. Browsing through our top selection will display a variety of washroom commercial hand dryers that can offer different features to anyone using them, which can be beneficial to you for a wide range of reasons. Our Ninja Jet Blade Hand Dryer includes a HEPA filter that helps to filter bacteria from the air, offering the most hygienic dry. With the Ninja’s dual airflow system you will have air blown onto the back and front of your hands that can dry hands in 10-12 seconds. The room temperature display on the Ninja gives you the chance to see how warm the room is and adjust the air temperature to provide a drying temperature that suits the climate. The waste water collection tray attached to the Ninja allows you to dry around 500 pairs of hands before it needs emptying, and with a clear view of how full the collection tray is you won’t have to worry about overfilling. This hand dryer releases only 72db of sound so you won’t be deafened while using it, and it dries around 100 pairs of hands for only 3p in electricity, meaning that you might only spend around £5 a year in running costs! The smart illuminated drying zone and the LED countdown timer that counts down from 12 while drying your hands provides the ultimate drying experience. After choosing your preferred product, you can then choose the design that you want your hand dryer to hold. 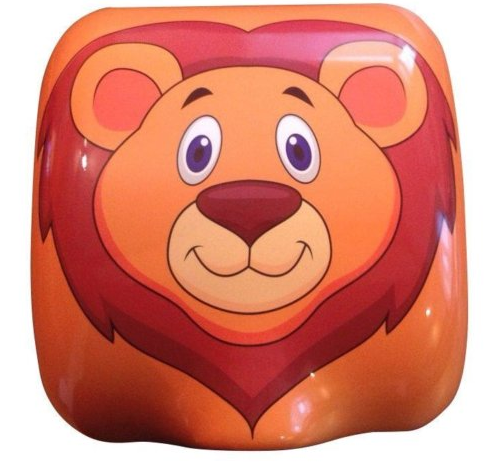 With the ability to place any logos, advertisements, or quirky designs that you find appropriate on your hand dryer, you have the unique chance to provide an extra sense of style or fun. If you think customisable hand dryers could be the perfect addition to your school, restaurant, hotel or other commercial area then we have the best selection of products to choose from. Our new 2018 Jet Blade V technology features in here, as we knew that introducing a new hand dryer with twin blade technology that can blast the water from your hands would be a great addition to our selection. With the chance to completely adjust many of your options within this product – including airspeed, sound and temperature – with a hidden switch within the dryer, you can truly have the perfect hand dryer for your exact needs. 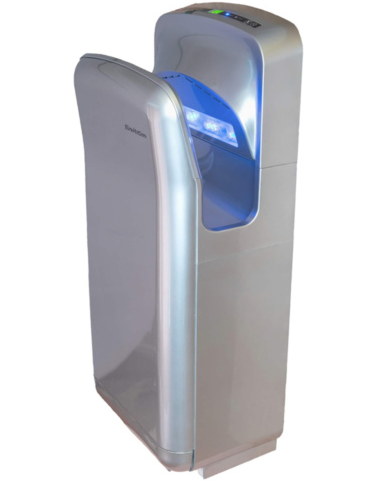 The installed HEPA filter helps to filter any airborne bacteria and germs so that your hands are left clean after your dry, and as one of the quietest dryers that we have available you’ll be so impressed with these features. 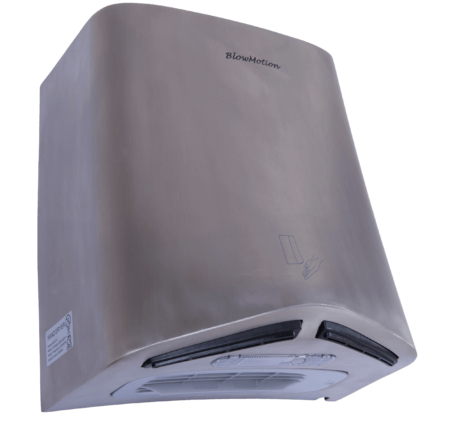 At an incredibly cheap running cost – just 2p per 90 dries with the heat off – you’ll find that the 10-12 seconds drying time is only one of many impressive features that comes with this hand dryer. To ensure that we’re providing the most efficient drying experience we installed dual sensors that can detect hands immediately, so you won’t have to wave your hands around or push any buttons to dry. If you’ve decided that one of our amazing range of washroom commercial hand dryers is the perfect selection for you, then we’re more than happy to help you begin the process of receiving your brand new dryers. Once you’ve visited our website and made your order you’ll find that you can receive FREE next working day delivery on all of our orders! If you have any questions about any of our products then you can call a member of our team on 0800 002 9678.